Pounta. 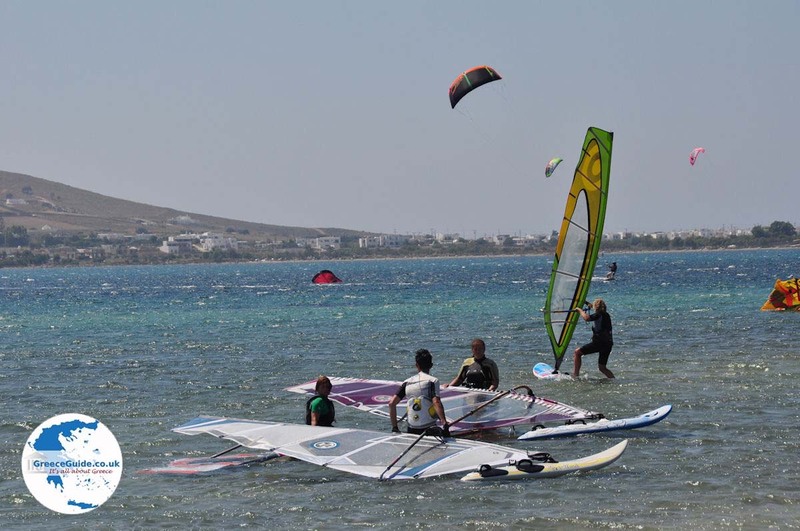 Pounta is located eight kilometers (5 mi) southwest of Parikia on the Greek island of Paros. 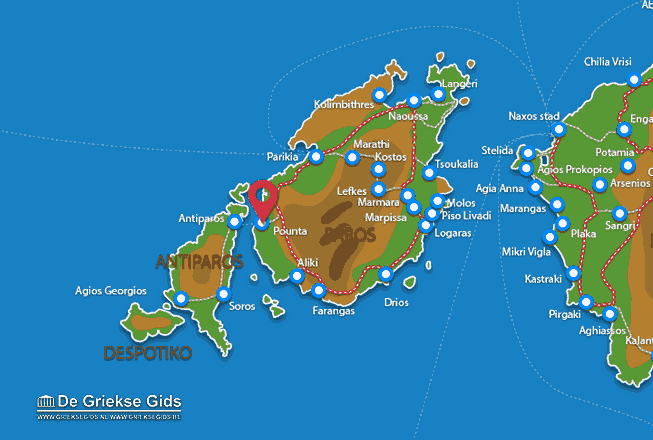 From here, ferries depart for the island of Antiparos (two kilometers or just over a mile away). 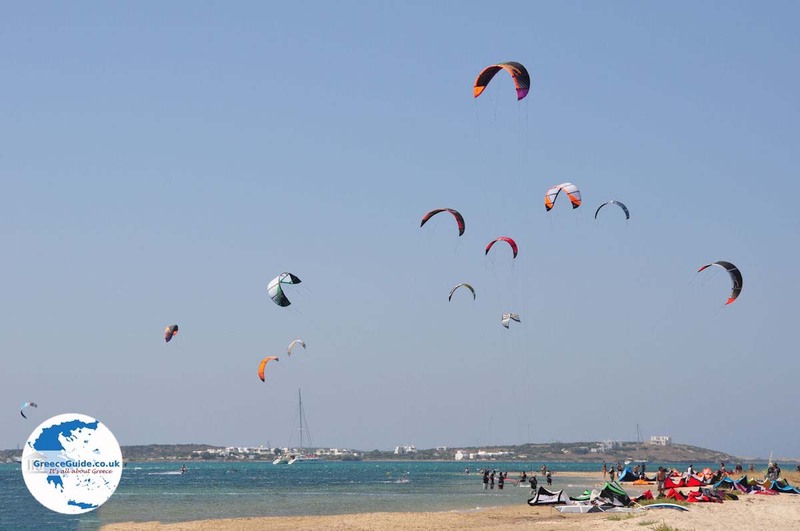 Pounta is a popular spot for kite surfers. 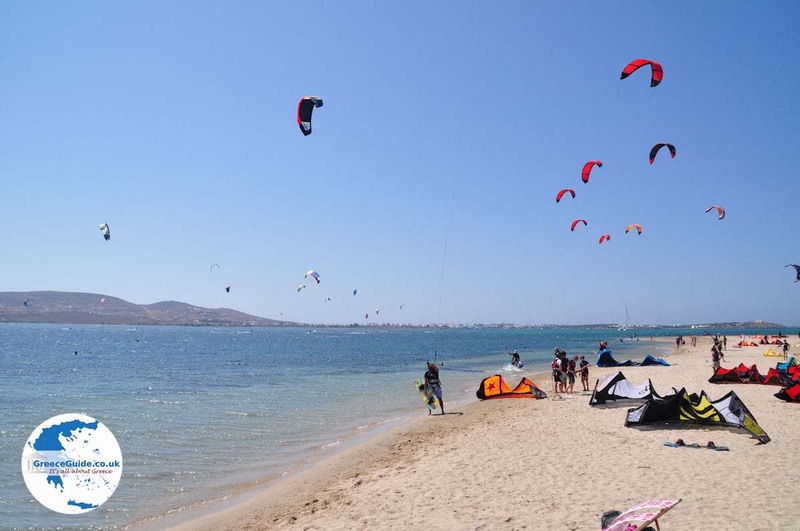 This long beach is home to two kite-surfing schools. 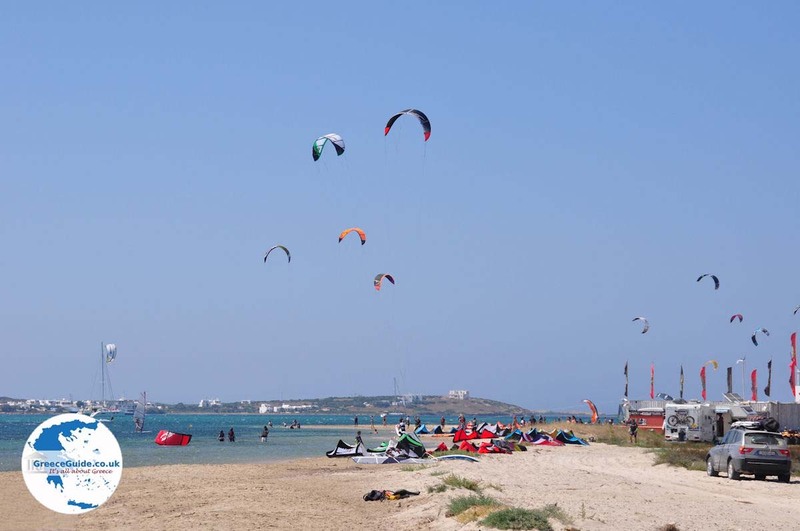 In summer, on the dirt road next to the sea, you’ll see dozens of motorhomes and caravans from different countries. 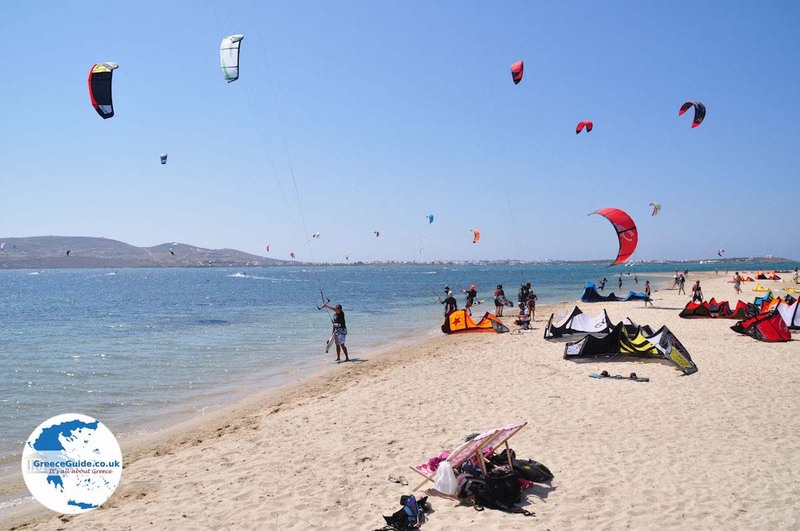 Many of those are kite fanatics who bring their kite surfing equipment to Paros, to enjoy their favorite sport. 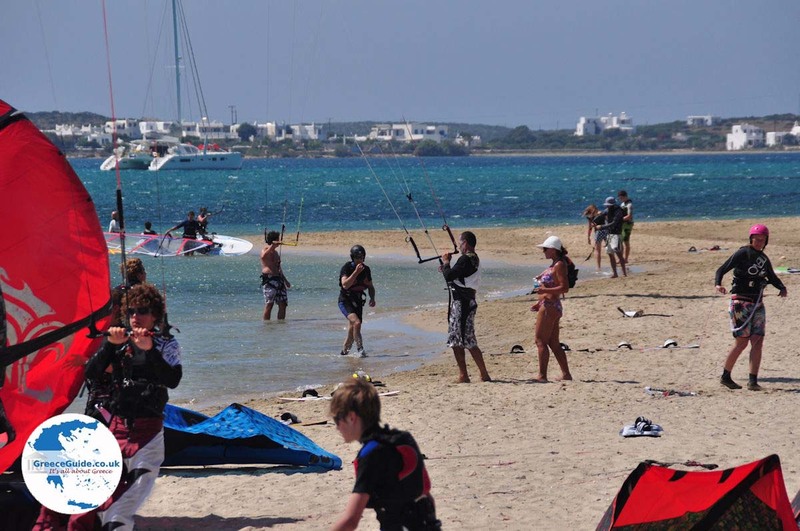 Windsurfers, too, will have a great time here. In summer, it is almost always windy. 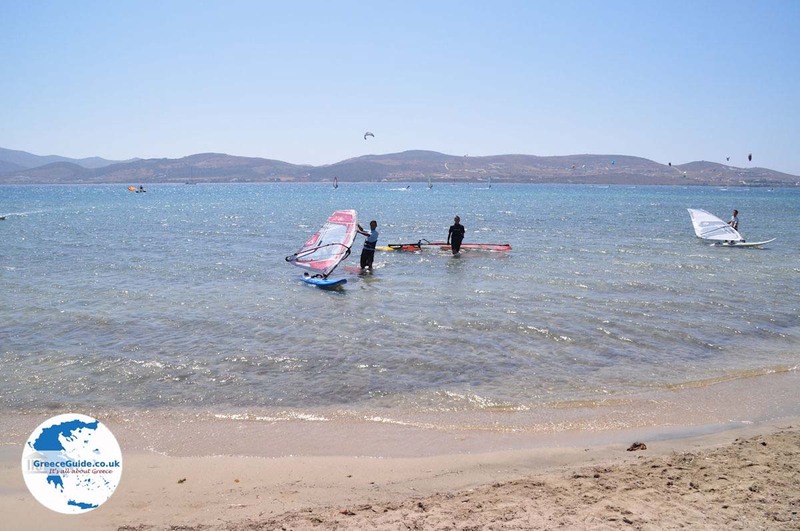 The Meltemi wind makes for very favorable windsurfing conditions. Pounta has many hotels and apartments, and several restaurants and taverns. 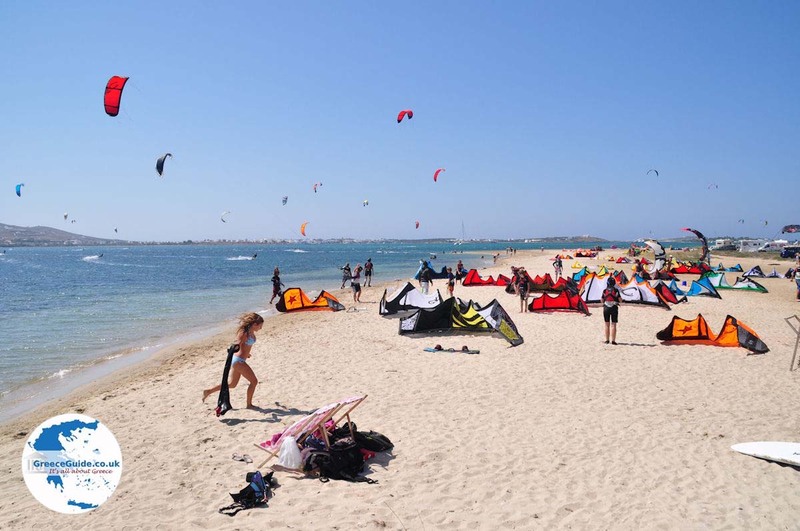 If you do not like windsurfing and kite surfing, we still advise you to visit Pounta, because of the "free" surfing show that you will get. It is really worth your time. 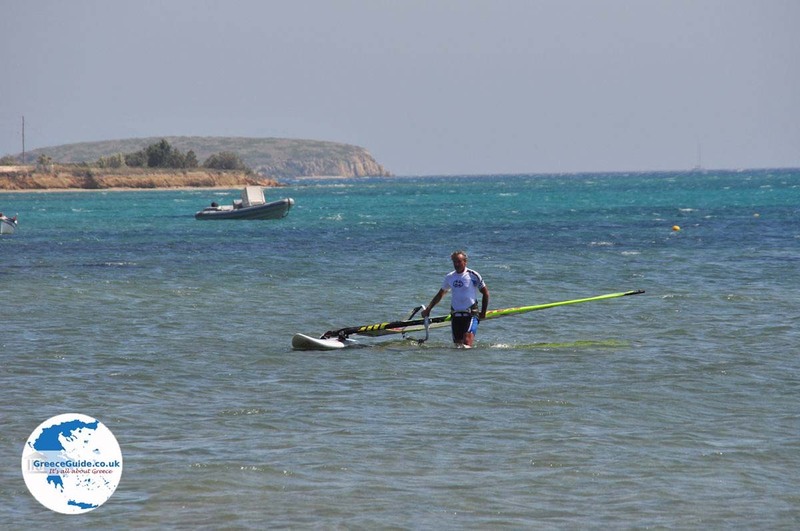 Paros: Where on the map is Pounta located?